Mobility Access Asia in Malaysia, is an independent Company, sourcing wheelchair platform lifts from a wide variety of manufacturers worldwide providing us with a comprehensive portfolio of products. 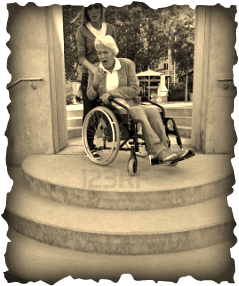 We are also accredited disability access and lift consultant. 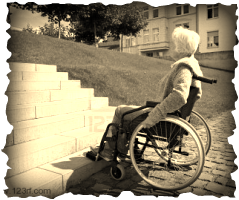 This enables us to ensure that the wheelchair platform lifts solution we provide to you is the most suited to the needs of your disabled and elderly users. We also make sure that your chosen accessibility solution complements the building, whilst ensuring full compliance. 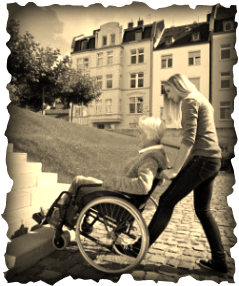 Mobility Access Asia (Malaysia) offers solutions and support to increase the independence of disabled or elderly people as well as to improve the convenience of those who are caring for them. This is achieved by identifying ourselves with their individual needs. Access problem for people in wheelchair. Main access problem for the OKU in Malaysia is lack of facility for wheelchair access to all public places. How to access this stair with wheelchair? With help also cannot climb this stair on wheelchair. Going down also is a problem on wheelchair. ... the solution no longer has to be moving house, living downstairs or depending on others to assist -- ASIA ACCESS SOLUTION has the desire to take you to the highest possibly..
Mobility Access Asia has the best solution specialized in elevators, lifts and chairlifts. We founded by Malaysian and Europeans entrepeneurs with vast experience in the elevator, lift and chairlift industry.